Canada Employment Forms and Agreements. Easy to Use. Maintaining a successful and productive work environment requires clear communication, including the use of well-crafted employment contracts. Our forms are designed to communicate expectations and protect your company and employees. 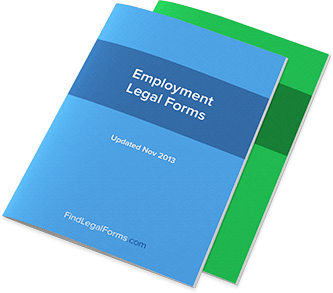 Employment related forms, including employment agreement forms, applications, and forms for use by both employers and employees. Also included are numerous service agreements for contractors, bookkeepers and child care. Forms for use in a variety of employment-related situations incuding employment agreements, independent contractor agreements and agreements for managerial positions. Letters covering a variety of situations for prospective employees, present employees and employers. Manuals, handbooks and individual policies for employment and human resource needs. Specifically designed to allow attorneys or prospective employers to lawfully obtain employment records and information for job candidates. Forms used by small or large companies when dealing with personnel and HR matters. These forms include forms for use by both employees and employers. Reference checks, information releases and authorizations for all of your human resource needs. Contracts used when providing various services setting out detailed terms including the specific services to be performed, term of the agreement and how much the services will cost. Employee Assignment of Pre-Employment Works (Canada) Agreement whereby an employee assigns all rights in a specific invention created before working with employer to the employer. Employment Agreements Various Employment Agreements for use in all provinces except Quebec. Job Offer Letter - Salaried (Canada) Letter to be sent to job applicant extending an offer of employment. Sales Representative Agreement (Canada) Sales Representative Agreement for use in all provinces except Quebec. Service Agreement - General (Canada) This Service Agreement - General is designed for use in Canada. This form is available for immediate download. Tuition Reimbursement Agreement (Canada) Agreement where an employer agrees to reimburse an employee for tuition for a specific course or degree. Employee Confidentiality Agreement (Canada) Agreement whereby an employee agrees to treat certain of the employer's information as confidential. Non-Competition Agreement (Canada) Non-Competition Agreement between an employer and employee. Non-Competition Agreement by Seller of a Business - Long Form (Canada) Non-Competition agreement given by seller of a business to the buyer of the business (long form). Non-Solicitation Agreement - Customers & Employees (Canada) A Non-Solicitation Agreement is an agreement between an employer and an employee where the employee agrees not to solicit customers or other employees of the company. Non-Solicitation Agreement - Customers (Canada) A Non-Solicitation Agreement is an agreement between an employer and an employee where the employee agrees not to solicit employer's customers. Non-Solicitation Agreement - Employees (Canada) A Non-Solicitation Agreement is an agreement between an employer and an employee where the employee agrees not to solicit other employees of the company. Computer Consulting Services Agreement (Canada) Agreement for consultant to provide computer services to another party. Teaming Agreement for Proposal (Canada) Agreement between a prime contractor and a subcontractor to develop and present a joint proposal for a project. Employment Agreement - Executive (Canada) Employment Agreement for executives or special employees for use in all provinces except Quebec. Employment Agreement - Letter Format (Canada) Employment Agreement (Letter Format) for use in all provinces except Quebec. Engagement Letter (Canada) This letter is to be used to engage a service provider or contractor. Management Employment Agreement - Long Form (Canada) Employment Agreement for an employee taking a management position. Management Employment Agreement - Short Form (Canada) Employment Agreement for an employee taking a management position (short form). Employment Agreement Amendment (Canada) This Amendment to Employment Agreement is designed for use in Canada. This legal form is ready for immediate download. Resignation & Termination Letters and Agreements Letters and agreements to assist you in terminating an employee or resigning from a position. Email Policy - for use in a Personnel Policy Manual (Canada) Email Policy to be used when constructing or amending a personnel policy manual. Employment Policy Packet - for use in a Personnel Policy Manual (Canada) Various employment policies and practices to be used when constructing or amending a personnel policy manual. Harassment Policy - for use in a Personnel Policy Manual (Canada) Harassment Policy to be used when constructing or amending a personnel policy manual. Internet and Electronic Communications Policy - for use with Personnel Policy Manual (Canada) Internet and Electornic Communication Policy to be used when constructing or amending a personnel policy manual. Sick Leave Policy - for use in a Personnel Policy Manual (Canada) Sick Leave Policy to be used when constructing or amending a personnel policy manual. Consulting Agreement (Canada) Agreement between an independent contractor/consultant and a client. Consulting Agreement - Short Form (Canada) Agreement between an independent contractor/consultant and a client - short form. Contracting Services Agreement - Short Form (Canada) Short form of agreement between a contractor and its customer for work and services provided to a project. Employee Authorisation to Release Information (Canada) This Authorisation to Release Information is designed for use in Canada. This form is available for immediate download. Notice of Infringement of Proprietary Rights (Canada) Notice informing another party that they have infringed on your proprietary rights. Permission to Film Presentation (Canada) Grant of permission to film to be used in all provinces except Quebec. Promotional Contest Rules - Website (Canada) Basic rules for a website promotional contest. For use in all provinces except Quebec. Waiver of Moral Rights - Consultants (Canada) Waiver of Moral Rights by a consultant to be used in all provinces except Quebec. Corporation Function Release (Canada) This release is designed to be executed by an employee of a company prior to attending a company event at which alcohol will be served. Employee Assignment of Wages (Canada) Agreement whereby an individual assigns his/her wages to another. Employee Final Release (Canada) This release should be executed by an employee upon his/her termination. Reference Check Form for Prospective Employees (Canada) Form to be completed by an employee applicant's references giving detailed information about the applicant's qualifications. Waiver of Moral Rights (Canada) Waiver of Moral Rights Agreement for use in all provinces except Quebec. Termination Letter - For Cause (Canada) Termination Letter when employer is terminating employee "for cause." Termination Letter - Unsatisfactory Probationary Period (Canada) Termination Letter when employer is terminating employee "for an unsatisfactory probationary period." Dog Walking Services Agreement (Canada) This Dog Walking Services Agreement is designed for use in Canada. This legal form is available for immediate download. Horseback Riding Lessons Contract and Liability Release (Canada) This Horseback Riding Lessons Contract and Liability Release is designed for use in Canada. This form is ready for immediate download. Service Agreement - Athletic Trainer (Canada) This Athletic Training Services Agreement is designed for use in Canada. This form is available for immediate download. Service Agreement - Bookkeeping (Canada) This Bookkeeping Services Agreement is designed for use in Canada and is available for immediate download. Service Agreement - Clerical and Administrative (Canada) This Clerical and Administrative Services Agreement is created for use in Canada. This form is ready for immediate download. Service Agreement - Consultant (Canada) Consulting Services Agreement for use in Canada. This agreement provides the terms and conditions of the arrangement between a contractor/consultant and a client. Service Agreement - Cooking School Lessons (Canada) This Cooking School Lessons Agreement is designed for use in Canada. This form is available for immediate download. Service Agreement - Disc Jockey (Canada) Disc Jockey Service Agreement for use in Canada. Service Agreement - Fitness Training and Services (Canada) This Fitness Training and Services Agreement is designed for use in Canada. This form is available for immediate download. Service Agreement - Florist (Canada) Florist's Services Agreement for use in Canada. Service Agreement - Gardening (Canada) Gardening Services Agreement for use in Canada. Service Agreement - Horse Boarding/ Livery Yard (Canada) This Livery Yard Agreement is designed for use in Canada. This form is available for immediate download. Service Agreement - House Cleaning (Canada) House Cleaning Services Agreement for use in Canada. Service Agreement - Information Technology (Canada) This Information Technology Services Agreement is designed for use in Canada. This legal form is readily available for immediate download. Service Agreement - Janitorial (Canada) Janitorial Cleaning Services Agreement for use in Canada. Service Agreement - Makeup Artist (Canada) This Makeup Artist Services Agreement is designed for use in Canada. This form is available for immediate download. Service Agreement - Messenger (Canada) A Messenger Services Agreement for use in Canada. This agreement sets forth the terms and conditions between a client and a messenger or messenger service. Service Agreement - Mover (Canada) Moving Services Agreement for use in Canada. Service Agreement - Pest Control (Canada) Pest Control Service Agreement for use in Canada. This agreement sets forth the terms and conditions of the arrangement between the parties. Service Agreement - Photographer (Canada) Photography Services Agreement for use in Canada. Perfect for weddings and other events! Service Agreement - Pool Cleaning (Canada) Swimming Pool Services Agreement for use in Canada. Service Agreement - Referee / Umpire (Canada) Referee / Umpire Services Agreement for use in Canada. Service Agreement - Residential Interior Design (Canada) This Residential Interior Design Service Agreement is created for use in Canada. This form is available for immediate download. Service Agreement - Security Guard (Canada) Security Guard Services Agreement for use in Canada. Service Agreement - Technical/Scientific Writing (Canada) This Technical/Scientific Writing Services Agreement is created for use in Canada. This legal form is available for immediate download. Service Agreement - Translator (Canada) Translation Services Agreement for use in Canada. Service Agreement - Videographer (Canada) This Videography Services Agreement is designed for use in Canada. This legal form is available for immediate download. Service Agreement - Wedding Band (Canada) This Wedding Band Services Agreement is designed for Canada. This legal form is ready for immediate download. Service Agreement - Window Cleaning (Canada) A Window Cleaning Agreement for use in Canada. This agreement sets forth the terms and conditions between a client and a window cleaning contractor. Services Agreement - Snow Removal (Canada) Agreement between the owner of a building and a snow removal contractor to remove snow from the exterior of the building. Services Amendment Agreement (Canada) Amendment to Services Agreement for use in Canada. This kit is designed to assist you in drafting an amendment to an existing services agreement.